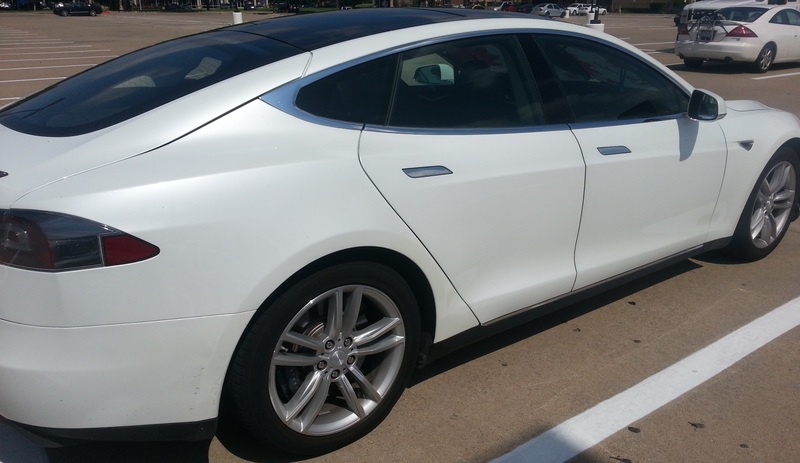 Remember my post about my friend who got to tour the Tesla Motors factory? These cars are taunting me. OK. Not really. I saw another one the other day. Don’t worry, I resisted the urge to pet it. I don’t think I drooled. Much. Mockingbird: Mom, step away from the car. Mockingbird: No, Mom. back off. And, please, wipe off that drool. If you haven’t noticed, summer is kinda slow around Mermaids Don’t Do Windows. I’m trying to post at least twice a week right now, but I’ll get back up to three a week next month after all the back-to-school insanity joy is over. I’d love to hear what you’re up to lately. Any end-of-summer plans?